The process of becoming a Saint in the Catholic Church is called a Cause. Lots of ordinary people are saints because they do their best to lead Christian lives. A person becomes a saint by her life, but some are named so, as well. The process to follow if people think someone is worthy of being named a saint was modernized in 1983, and greater emphasis was placed on what happens in the local church. If the work is done carefully and accurately at this level, it helps the process to move swiftly when it goes to Rome. According to the procedure, the bishop has to give permission for the cause to start. Sisters of Compassion approached Cardinal Williams early in 1990. A postulator was then appointed and it was her task to help to “Conduct thoroughly the investigations into the life of Suzanne Aubert”, in order to “establish her reputation of sanctity, the importance of the cause for the Church and the importance of Suzanne Aubert as a role model of holiness for the people of Wellington and New Zealand”. At this stage, nothing could be done until an authentic biography had been written about Suzanne Aubert. In 1992, the Centenary Year of the Sisters of Compassion, Jessie Munro was appointed to write the biography of Suzanne Aubert, which she called The Story of Suzanne Aubert. The book was completed in 1996, and received the Montana book Award of the year in 1997. At the New Zealand Catholic Bishops’ Conference in 1997 the bishops all agreed to support the first part of the process – The Introduction of the Cause of Suzanne Aubert. A special prayer was composed for people to recite, that through her intercession graces, favours, or special help would be received. The bishops have to be asked before any Cause can proceed, because the person has to have relevance for the whole country. Suzanne’s work for those who were most in need, regardless of their religion first in Auckland and later in Wellington, her efforts for Maori people in Hawkes Bay and on the Whanganui River and her healthcare provisions and research into herbal medicine, make her such a person. All relevant material accumulated since the time of Suzanne Aubert was sorted and a brief summary of this was sent to the cardinal during 2001. Because Suzanne Aubert spent seven years in Rome, the Cardinal asked the Vatican if they had any material about Suzanne Aubert. They did, and this was sent to him on the 14 May 2003. On May 14, 2003 permission was received to proceed with a Diocesan Inquiry. Theologians were appointed to examine published works of Suzanne Aubert and state that these were in accord with the Christine faith. Historians were appointed to examine her life, works and unpublished writings in the context of her time and write a report on this. Her letters were examined to see what they revealed of her personality, her actions to assist the needy, and how other people at the time wrote about her and then her relevance for today. Yes, she did great work in her time, but nowadays, would people still consider her actions to be good. Was she just a do-gooder? Was she just promoting herself? Was she patronising to the people she helped? All those things had to be researched by those skilled to do so. A promoter of justice was appointed and it was this person’s task to see that any failings in the proposed saint’s character were not glossed over. The process is very thorough to prevent abuse from happening. It would be terrible to name someone a saint and then discover they had a murky past. 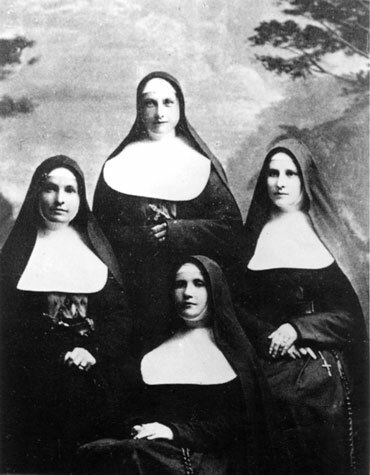 Some people whose families had a special connection with Mother Aubert during her lifetime were spoken with and also others whose work has meant that they have useful knowledge of her. There have been cures during the last seventy years that those concerned attributed to Suzanne Aubert’s intercession with God. Whether these can be called miracles or not will be decided by the Vatican. Doctors checked existing medical records, to help the inquiry. Because Suzanne Aubert spent a great deal of time working with Maoris in Pakipaki and along the Wanganui River, it was really helpful to the inquiry that their opinion of her life and work be obtained and that representatives of both groups thought so much of her they made the time to come to Wellington to say so. One kaumatua confronted the Church officials, wanting to know why calling Suzanne a saint had taken so long! The Inquiry began with a public Mass in the Home of Compassion Chapel, to which all the clergy and people of the diocese were invited. After the closing session on the 4th July when all documents are signed and sealed, there will be a closing Mass at 7pm. in the Cathedral. To conclude, all documentation will be sent to the Vatican for examination and an eventual decision on Suzanne Aubert’s sanctity.